These delicious treats are a nut-free version of the classic peanut butter cookie; another great recipe from the Sweet Laurel Cookbook. Not only are peanuts inflammatory for many people, but most schools are nut free, so these make a perfect school snack. 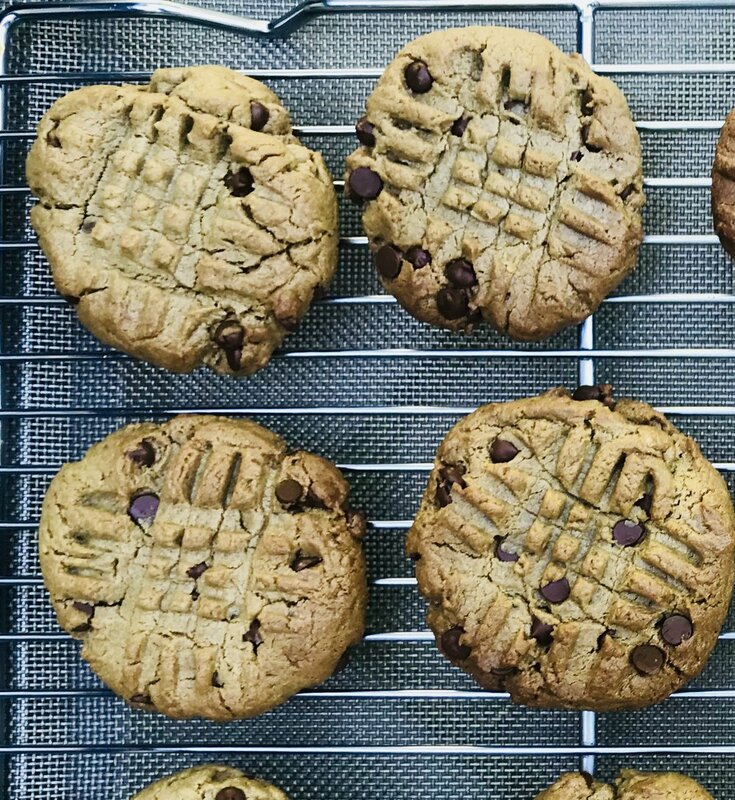 These high-protein, crunchy cookies are made with sunflower seed butter, which is creamier and lighter than peanut butter but still has that delicious nutty taste. I love grabbing one for myself out of the refrigerator for an afternoon snack, and of course they are so easy to throw together! Stir together the sunflower seed butter, egg, maple syrup, arrowroot powder, salt and vanilla in a medium bowl or food processor until a soft dough forms. Using your hands, scoop and roll the dough into 1-inch balls and place on prepared baking sheet. Transfer to the refrigerator to set for at least 20 minutes. Remove from refrigerator and use a fork to imprint a crosshatch on each cookie. You may need to dip the fork in some extra arrowroot powder so it doesn’t stick to the dough. Bake the cookies for 10-12 minutes until set on top and golden brown on the bottom. Transfer to a cooling rack and cool completely. Store in a sealed container in the refrigerator. You can also store in the freezer indefinitely.